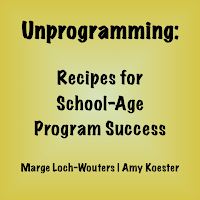 All this week, Marge Loch-Wouters and I have been recapping our #ala2013 conversation starter on the topic of Unprogramming. Read all our previous posts & join in on the conversation in the comments or on Twitter (#unprogramming). So you've got the recipe for unprogramming. Maybe you'd like a few examples of unprograms, ready-to-go or ready-to-modify for your library. Well you are in luck, friend, because Marge and I have been pinning great examples of unprograms onto a board on Pinterest. Some of these pinned programs are our own, and we discussed a few of them in Chicago: a Superhero Party and Attack on the Fort! program from my library, and camp-out, Lego, and space adventures programs from Marge's library. 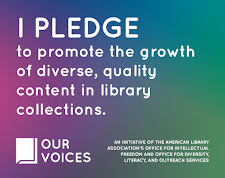 Many of the pinned programs, though, are programs that we've culled from awesome librarians around the country and the blogosphere. And we're not done with this board, either; we're going to keep pinning examples of unprogramming that inspire us, and as a result we hope the Unprogramming Pinterest board will be a useful resource for you. My library has long had an American Girl Club program, and a few different staffers have been in charge of it over the years. This program has always required meticulous research, both of the characters and of the time period being explored. The staff member planning the program might spend several hours over the course of a month planning time period-appropriate games, crafts, and snacks. Attendance has always been good--around 35, which is on the large side for our location--but entirely female. The girls bring their American Girl dolls, and I've long been afraid we are excluding those who don't have a doll even though we advertise the program as open to everyone. Cut to this spring, when a staff member gave unprogramming a shot. She created a write-up for a Marble Run Mania program, which required collecting a bunch of recyclable materials, some electrical tape, and marbles. Prep time was 20 minutes of program room setup. The program opened with brief discussion of ways to think about building structures; kids had access to books on engineering/building (think David Macaulay). This staff person also used kids' input to make a brief bulleted list of design ideas. Kids then broke into groups to create whatever type of marble run they wanted. The last 10 minutes of the program were open for trying each others' marble runs. Attendance was 57, diverse in age, boys and girls, and the kids were crazy engaged. They loved it. So much less prep time, so much more engagement. So there you have it, the crux of the reason I am a big believer in unprogramming in the library for school-age kids: high engagement, minimal staff overload. I hope I'm not the only librarian to experience this change. I'd love to hear stories from you about what happened when you tried an unprogram. 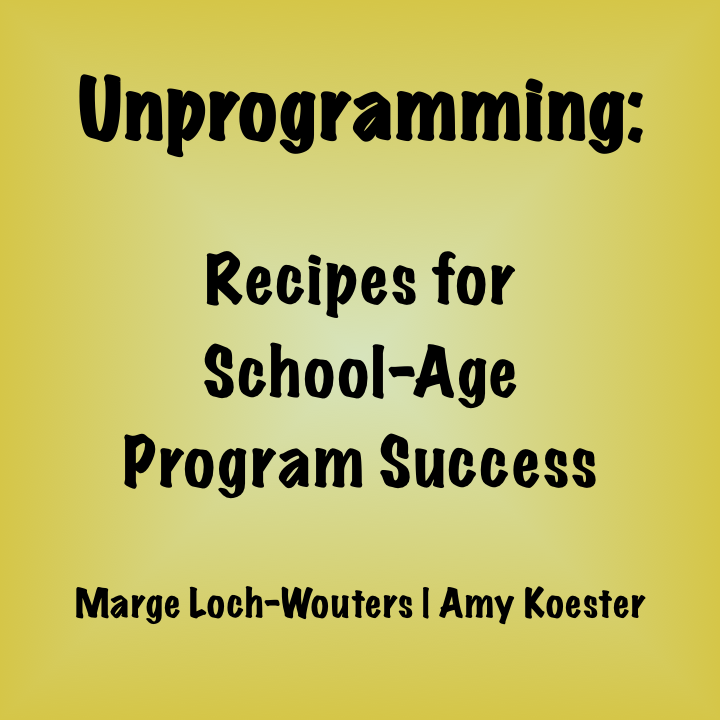 Join Marge and me tomorrow for the final posts in our Unprogramming wrap-up! Thanks for hanging with us this long. What do you think? Unprogramming or not? What a fun-looking program! It definitely looks like you had lots of "stations of stuff." I'm curious--did you tie the program to a book or other material in some way?